Your print campaigns deserve the best! With its range of dedicated microcapsules and printing solutions, Euracli offers customized answers. To add scents or effects to your promotional or retail campaigns, just contact us! When scratched or rubbed, the printed microcapsule zone emits fragrance with all of its subtle notes. The microcapsules are printed inside a sealed flap. The perfume is released when the microcapsules are ruptured as the flap is opened. The microcapsules are printed on a small surface. The perfume is released when the printed microcapsule medium is rubbed. The microcapsules are contained in a matte or glossy acrylic or oil varnish.The perfume is released when the printed surface is rubbed. The microcapsules in a powder are protected by 2 repositionable films, one of which can be printed on. The perfume is released by rubbing. Euratherm® thermochromic pigments change color depending on the temperature, reversibly. When heated, the color disappears, only to reappear during cooling. The capsules containing the thermochromic mix take the form of a powder or an aqueous (water-based) suspension. 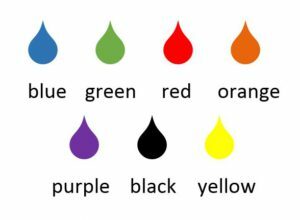 The temperature of color change ranges between 2 ° C and + 55 ° C. The temperature range can be changed and several colors are offered. Check out the impact and multiples applications of our thermochromics microcapsules!